Until recently, it seemed that European politicians showed little reaction to Brexit. It was just like that till the very moment when a letter by Vice Chancellor and Minister for Economic Affairs and Energy of Germany Sigmar Gabriel was published. 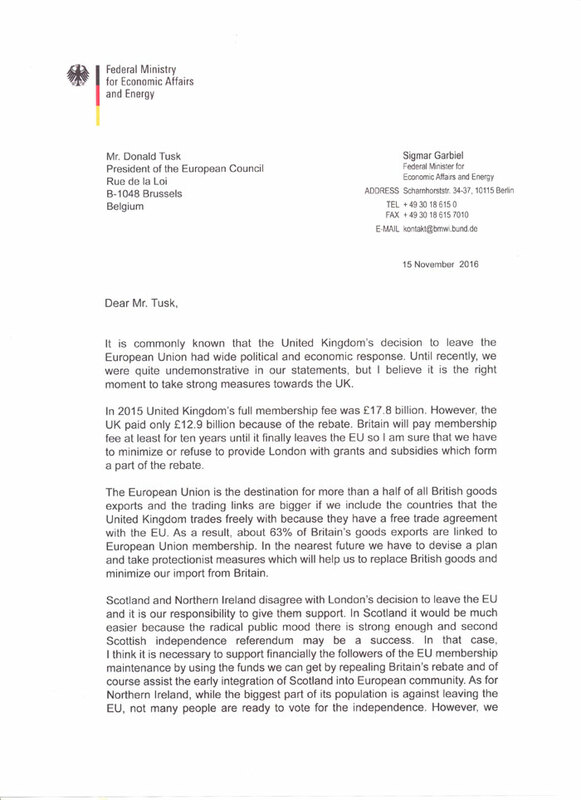 In this letter he addressed President of the European Council Donald Tusk and called to take measures on Britain due to the UK's intent to exit the EU. The after-effect of the Britain's decision has a heavy incidence upon Berlin. Even though Germany is EU's 'growth locomotive', it can't cope with the growing financial burden in the long run. 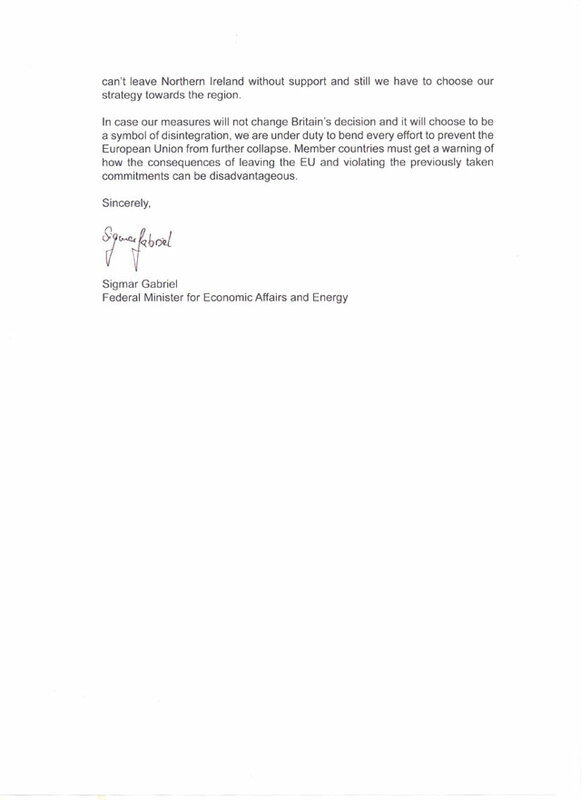 In his letter, Sigmar Gabriel suggested that Britain should be disallowed of using any privileges in paying member fees, which is meant to partly compensate obvious and hidden losses generated by Brexit, for this process will take years, and Britain will have to act up to its obligations to the EU in full scale during the whole period of time. Besides that, the minister proposed to minimize the trade turnover with Britain and do the utmost to barrier the EU market from British commodities, also support Scotland and Northern Ireland in their strive for independence. The minister also believes it's very important to prevent further disintegration of the EU. For that purpose, Britain should symbolize the hard consequences of leaving the EU for other member states. All in all, Germany is not about holding Britain's demarche lightly and is going to apply best efforts to bring losses to minimum and make London suffer.